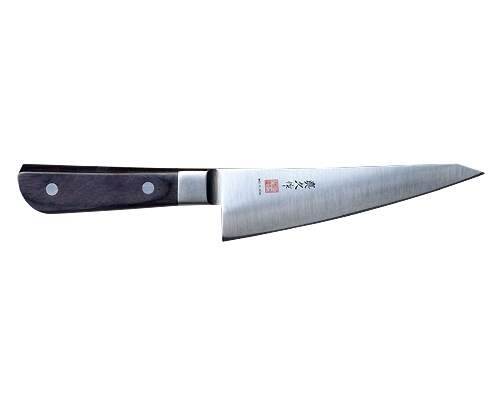 The Japanese Series features the traditional one-sided grind for right-handed use (except for the JU-65 which is two-sided). 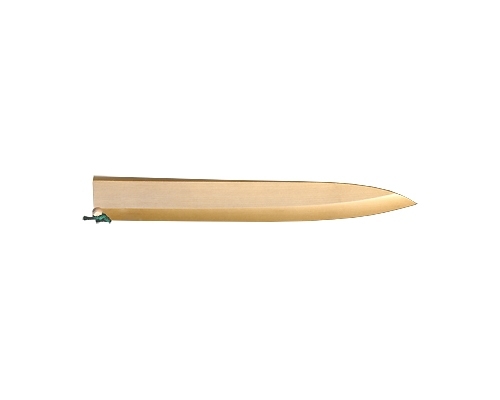 Traditional Japanese vegetable knife with improved round MAC handle. Thin rust resistant high carbon blade. 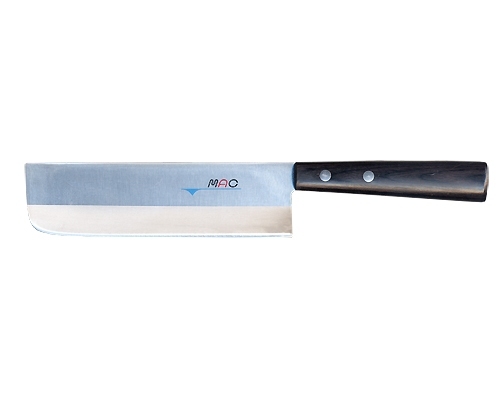 Ideal for peeling, slicing, dicing, and mincing. 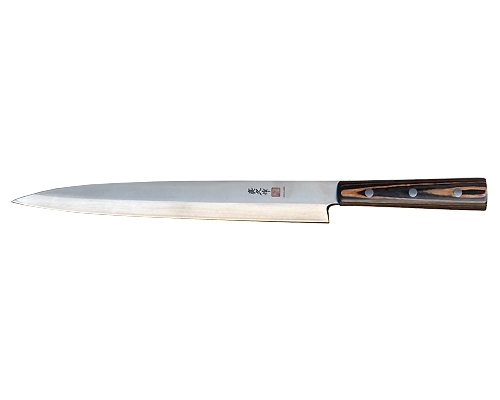 Improved version of the traditional Japanese sashimi filleting knife, known as a Yanagiba, Shoubu, or Sashimi Bouchou. Sharpened on only one side and razor-sharp. 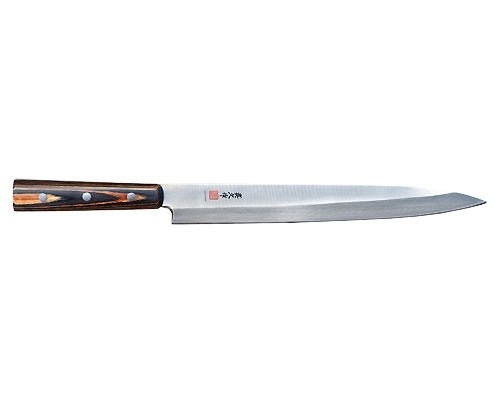 Ideal for thinly slicing and filleting fish, prosciutto, carpaccio, ham, roast beef, chicken, tomatoes, garnishes, breads and baguettes. Optional wooden scabbard for protecting knife. The perfect addition for your 10 1/4 in. MAC Yanagiba knife. Not only is this good to keep your knife in great condition, but is also a nice safety device for yourself and your family to prevent accidental cuts. The perfect addition for your Left Handed 10 1/4 in. MAC Yanagiba knife. Not only is this good to keep your knife in great condition, but is also a nice safety device for yourself and your family to prevent accidental cuts.